Fact sheets, spreadsheets and ROI calculators are vital sales tools, but they are not enough. 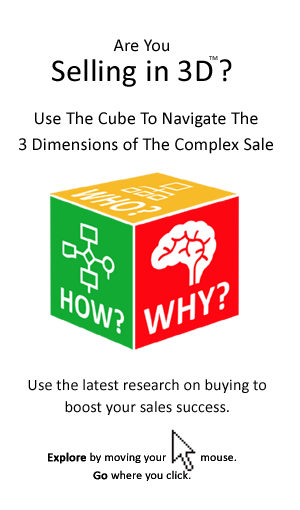 The seller must tap into the buyer’s underlying buying motivations and emotions as well as connecting with the buyers logic and analysis to improve sales performance. In business, emotions are generally considered unhelpful at best. They are associated with weak managers, disruptive employees and flawed business decisions. So the message is – leave emotion at home when you go to the office. Good managers are expected to be logical and analytical and emotion is frowned upon. But while there would appear to be no room for emotion in business, the opposite applies to selling. Indeed sellers know that tapping into the buyers motives and emotions is vital to closing the sale. Do your sales pitches and proposals connect with the buyer’s key emotions regarding the buying decision? While the trend in buying is towards logic and analysis, the 100% logical and analytical decision remains an illusion. The reality is that buyers are not as rational and analytical as their procurement policies and procedures would suggest. After all they are human! Our sales approach needs to reflect this fact. While it can be tempting to view a buyer as either Emotional or Rational. All our research shows that most buying decisions are 90%, 95% or 99% logic or analysis and 1%, 5% or 10% emotion, intuition, or impulse. That is not however to detract from the importance of the latter on making the decision. Do you strike the right balance between logic and emotion in making the sale? We often use the term compelling business case to communicate the importance of the economic business rationale behind a major purchase, but the numbers from a spreadsheet of themselves may not be enough to compel somebody to act. While two projects or purchases competing for the same resources may offer the same ROI – one may be much more compelling than another. That is because when it comes to buying it is not just about numbers! When the cost benefit analysis is complete and the calculator is put aside a wide array of other factors, many of which cannot be calculated or perhaps even articulated, act upon the decision. Buyers use numbers to arrive at a decision but it is emotion that compels them to act. That means sellers must justify logically and compel emotionally. Do you use numbers and facts to justify and emotions to compel the buyer to act? After the seller has communicated the facts about his, or her product and built the cost benefit analysis there is still more to be done. The seller must connect with those emotions that will compel the buyer to buy. Here are 11 ways in which the seller can connect with the intuitive and emotional aspects of the buying decision. That is ways to get more emotional leverage in the sale. Do your presentations and proposals paint a vivid picture for the buyer? Well to be powerful they should. Brain research tells us that those parts of the brain that process emotions and images are closely interconnected. So if you want to connect with the buyer’s emotions use images in your materials. Do you use powerful images in your sales proposal and pitches? Incorporate images that reinforce your message and create positive or emotive associations. But don’t just pick any photo stock images, select them carefully to ensure they resonate with the buyer. A metaphors, whether it is from the racetrack, the battlefield, or something else, work in a manner similar to images and pictures. They work in the mind’s eye. A powerful and evocative metaphor can be powerful way of not just communicating, but connecting with the buyer. It is a means of piggybacking on the positive associations of something else. What metaphors can you use to communicate your product and its benefits in a new way? Story time is not just for children, it is for buyers too. We all know the power of customer anecdotes, testimonials and case studies. These are stories in the sales context. Every culture has a tradition of oral story telling and folk stories. Story telling is as old as mankind – before writing or science people learned and connect via stories. That is because our brains like stories much more than numbers and facts. 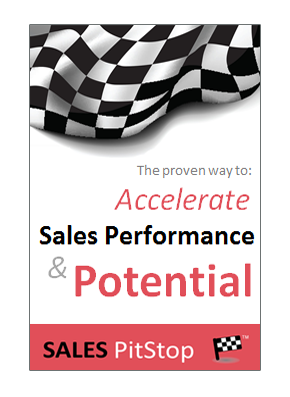 How effectively do you use customer anicdotes and case studies in your sales pitches and proposals? can be related to on a personal level. There are up to 48 different emotions at play in respect of how buyers buy. The question is how many of them are you tapping into in order to win the sale. How many of the basic motivations of the buyer do your pitches and proposals connect with? to avoid risk or loss and so on. To see the full list of emotions click here. If what you sell is not emotional then link it to things that are. That means finding out what the buyer cares about, worries about or is passionate about is key. Take for example the insurance salesperson focuses on family and home, not just property and possessions. Even mundane products can have powerful emotional associations. The best known example of this is Coke Cola. In blind taste tests consumers will generally choose Pepsi as tasting best. However if the same test is conducted but with the brand labels visible consumers will select Coke Cola as tasting the best. This is attributed to the range of positive emotional brand associations with Coke – the result of years of intensive advertising. What are the emotional associations with your products, or your product category? Events, causes, or personalities (e.g. via sponsorship). Psychologists tell us that we have a powerful drive to ensure consistency with our self concept and self ideal. That is to say we buy products and services that are consistent with how we see ourself, or want to see ourselves. This applies to the self concept of the individual, as well as the organization, or team. The seller’s pitch and proposal should connect with history of the buying organization, it’s culture, achievements and landmarks. The buyer’s self concept, or ego is an area where sellers need to exercise care. For example sellers need to be careful how they highlight the buyers weaknesses in order to demonstrate the need for their solution. Do your pitches and proposals connect with how the buyer sees himself/herself today and tomorrow? Protecting and indeed building the buyer’s ego is important to avoid defensiveness, or resistance. Sometimes that means sellers may need to ‘bite their tongue’, or ‘put their ego in their back pocket’. The products and services we buy say a lot about who we are and who we aspire to be. That means the seller needs to connect his, or her product with the buyer’s self concept and self ideal. It is part of the seller’s job to make the buyer look and feel good. So list the ways in which your product or service can make the buyer look good and then see how many of them you can either directly or indirectly communicate in your proposals. The locus of control theory says that we feel good, or comfortable about a situation to the degree to which we feel it is within our control. Yet many sales methodologies talk of wrestling control away from the buyer. That is because most buyers slow down when they feel uncertain or out of control. While some buyers may appear to like a seller to take over, those buyers can often come unstuck when it comes to getting the purchase sanctioned internally. Do you let the buyer feel like he, or she is in control? The sellers job is to help the buyer to feel empowered in solving the problem and finding the best solution. So make the buyer feel better about the purchase by giving the buyer a sense of control over the decision and its outcome. Do you know your buyer fears? If you don’t then you are overlooking a powerful force in the buying decision. Perceived risk on the part of the buyer has the potential to stall, or indeed accelerate the sale. It has the power to confer a price premium, or disqualify a supplier. That means the salesperson is in the risk management risk. How effectively do you engage with the buyer around issues of risk? Helping the buyer to manage risk – creating a risk register, quantifying the level of risk, setting out how to manage risk, etc. Do you know what your buyers key goals and ambitions are? If you don’t then you are overlooking a powerful motivational force. Sellers must help the buyer to visualize the achievement of their success – that is their ideal outcome. That means focusing the buyer on the end result to be achieved, or helping the buyer to envision the desired outcome achieved through the use of your product or solution. Do you know what your buyers key goals and ambitions are? Does your pitch, or proposal connect with them? Sellers must connect with the buyers goals and aspirations – making these the compelling reason for the buying decision. The salesperson must help the buyer to dream and then show how he, or she can help thee buyer to realize their dreams and aspirations through the use of a particular product or solution. Sales proposals that are written like legal correspondence lack impact. Use powerful words – language that appeals to the emotions – such as; success, potential, responsibility, recognition, empower, ability, results, achievement, wins, talent, skill, momentum, compelling, great and so on. Importantly, use the buyer’s words. Can the language used in your proposals and presentations be made more powerful? When you feel strained, you are more likely to be vigilant and suspicious: [you] invest more effort in what you are doing, feel less comfortable, and make fewer errors, but you also are less intuitive and less creative than usual. Famous negotiators have written their negotiation tricks including withholding toilet breaks, food and drink, or increasing room temperatures in order to force a decision. However research suggests that this is counter productive. Do you make the context or environment conducive for the buyer to decide? The implications for sellers is that they should ensure an atmosphere and environment conducive to decision making. That means pressure related closing techniques are more likely to slow the decision causing the buyer to undertake more analysis and to rely less on intuition. Simply making the text in a proposal more difficult to read (e.g. using a strange font, or packing the text too tightly) is likely to make the buyer deliberate more slowly.